Your social media presence is your mini resume in today's times. 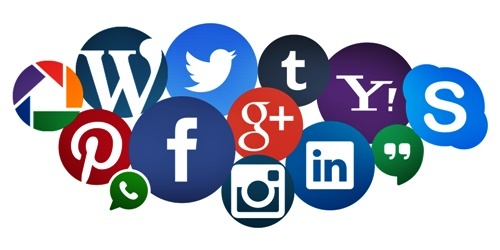 With the obsession to post everything online, companies have started screening their prospective employee's social media presence to analyse their cultural fit for the organisation. Before you sit across the table for an interview, the interviewee has already browsed your Facebook page to gauge your personality. So, if you are on the lookout for a job in U.A.E or already working in the emirates, you might want to be careful before posting your random views online. The biggest advantage of working in U.A.E is the multi-cultural exposure offers. It's almost a norm to work with a team of colleagues from different nationalities. This cultural mismatch can pose a challenge, but instead of complaining about the differences on your social media page, it would be better to embrace it. Yes, you might feel left out when colloquial jokes are discussed, but maybe you can put in an effort to understand the culture rather than pour it online. Home to people coming from different walks and following different religions, U.A.E is known for its tolerance. And if you are staying in the city or planning to move here, why spew your ignorance about the culture, practices or religion online? U.A.E is a great place to broaden your perspective about different people from different nationalities. You might pride yourself on having tongue-in-cheek humour, but you don't necessarily have to share that inside gossip or joke about your boss, colleague or company on your social media page. Yeah, you might get a few likes but is it worth the risk? Companies planning to hire you will be wary considering your brashness if you complain about your co-workers. If you are in the service industry, mocking your customers might be a taboo too and deem you misfit for any organisation. And if you cannot resist from sharing your pictures online then don't accept friend requests from co-workers or your boss! Studies show that in the race to look more sociable, social media users blindly share content and links without even reading them. This might get you in trouble if the link has content questioning the country, race or its political stand. Also, many have the temptation to tweet now and think later and this can land you in a soup. Draw a line between using your social media profiles for professional or personal use. If you enjoy a high life, those pictures need not be shared online for everybody to see. Do explore the privacy settings and keep these moments for your family and friends only.